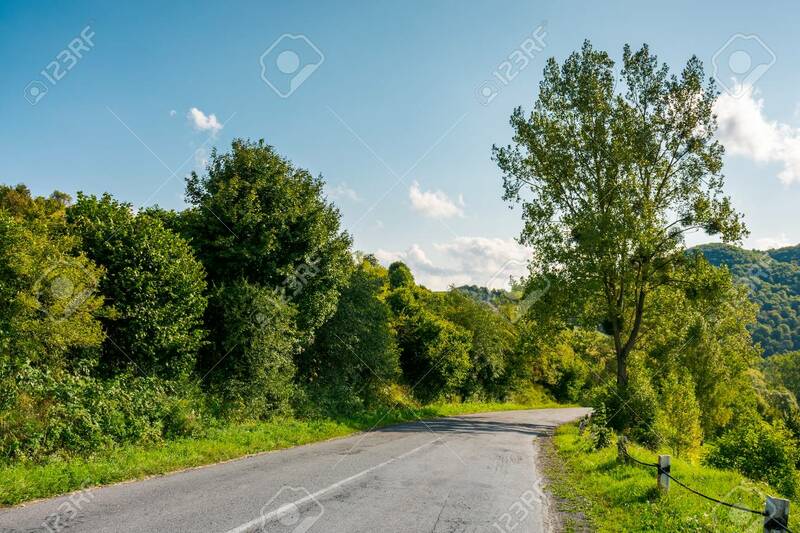 Countryside Road Through Forest In Mountains. Lovely Transportation.. Stock Photo, Picture And Royalty Free Image. Image 108411592.